Have you found an online vendor selling Hansen Golden? I encountered this rum at Christmas markets in northern Germany as an additive to Gluehwein, which is an appropriate use of this rum. I can only wonder how Gluehwein would taste with a more interesting additive, although I am not inclined to sacrifice a fine sipping rum! Works for mixing. Party rum for those who doesn't care so much about the taste. 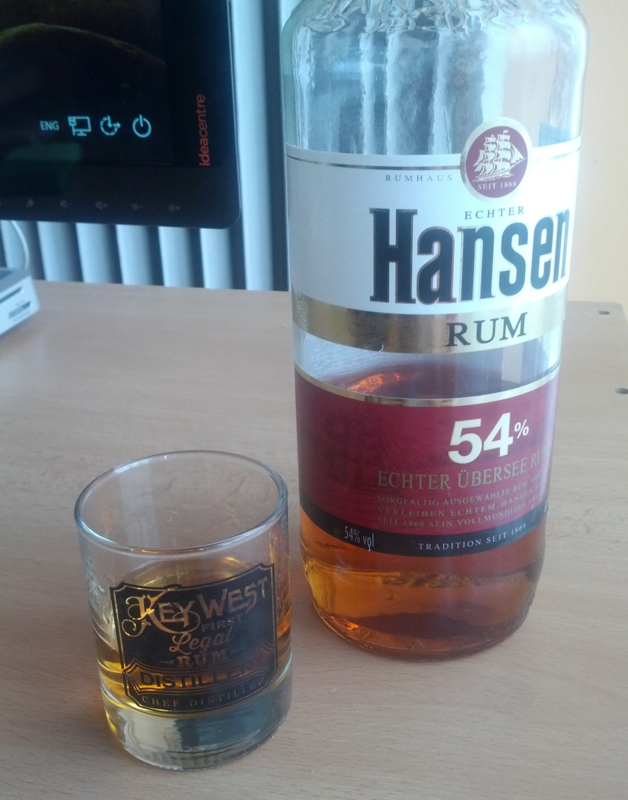 The rum belongs to the portfolio of the well known Berentzen liquor group located in North Germany. The golden one represents the strongest out of the three type of rums. By the official description, it's a selection of fine Caribbean rums, it ages in white oak barrels and it's ideal for preparing grog, gunfire, Jamaican coffee or for the preparation of desserts. I tried it straight and wasn't disappointed after all. Moreover, the price is more than friendly. On the other hand, it can't be compared with all those famous aged rums here. Trinke Rum nur pur. Deshalb ist dieser für mich indiskutabel. I like to collect, so this was the reason for me to buy this one, its for mixing pupose only. Kun til drinks, og det var det.